Dad’s Day has come and gone, and I usually bake a loaf of yumminess to send home with the Dad-in-Law at the end of the evening. This year, I had the remains of a bag of white chocolate chips (from last week’s blondies recipe) so I decided to add them to a favorite banana bread recipe. Did you know bananas are some of the most thrown out food in our households? 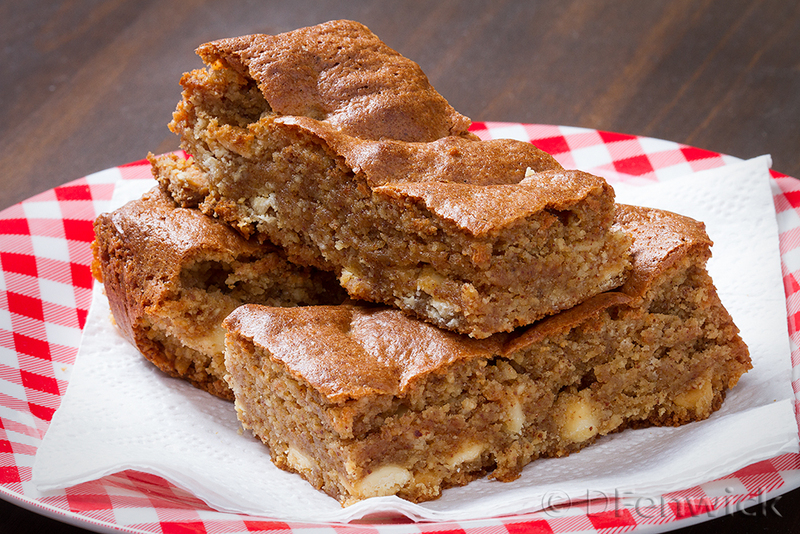 Sure they get brown and squishy – but that’s just sugary goodness for baked banana bread. So before you throw out those little darlings – try this recipe (even if you don’t have the chips to add to it) and give it to someone you love and make their day a special one! Preheat oven to 350 degrees F. Prepare two loaf pans by buttering the inside evenly. In a mixer, cream the butter and sugar well. Add the vanilla and eggs and mix again, then add bananas. Now mix in half the sifted ingredients, when it starts to incorporate evenly, add the remaining dry ingredients. Remove the bowl from the mixer and fold in the chips. Pour half the mixture into each pan and bake about 45 mins. Check with a toothpick, if it comes out cleanly, you’re done, otherwise, cook in increments of 5 or 8 mins until it passes the toothpick test. Let cool 20 or 30 minutes, loosen the edges in the pan and turn out onto cooling racks. Let cool and enjoy. 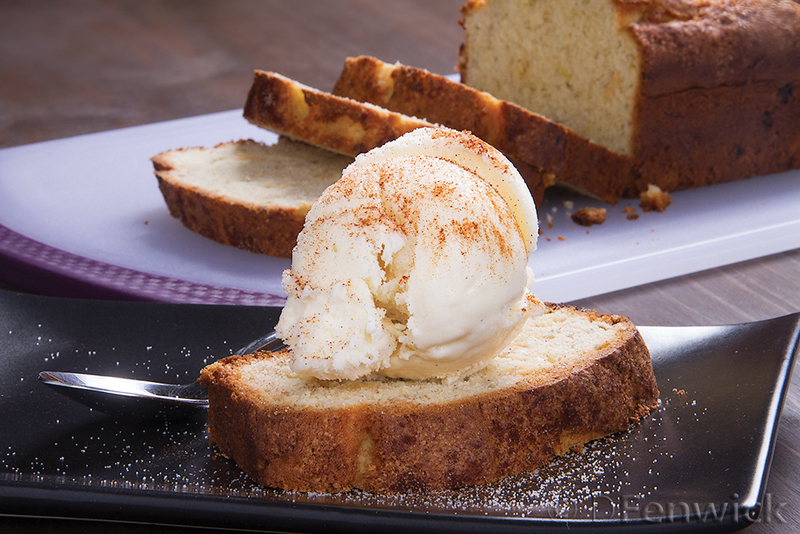 For a little extra fun, serve with a scoop of vanilla ice cream for dessert. Do blondes have more fun? The jury is still out on that question, but what I can say is that this “blonde brownie” is a sweet delight for the dairy free or alternative flour crowd. Indeed as far as this recipe goes, blondes ARE more fun! Preheat your oven to 350 degrees F and prepare an 8″ square baking pan with parchment paper. The paper is not going to want to stay put so just place a coffee mug on it inside your pan while you get the batter ready. Right before you pour in your batter you’ll want to grease the paper slightly with either some coconut spread or cooking spray so it doesn’t stick. With an electric mixer cream the first two ingredients. Next add the eggs, vanilla and sugar. Mix well. In a separate bowl combine the dry ingredients (except the chips), then add to the wet and mix gently. Fold in your chips making sure they are distributed throughout the batter then pour into the prepared baking dish. Bake for about 30 mins and check the firmness with a toothpick. It won’t come out clean (it’s hot almond butter! ), but the toothpick shouldn’t be heavily coated. Another way to check is bump the pan lightly and check the jiggle. There shouldn’t be much in the middle, but if it looks jiggly, bake another 5 mins then remove and cool on a rack about an hour. Remove the blondie from the pan, cut and serve. Enjoy! I let my tea bags marinate overnight in their water bath, but I’m sure the flavor is there after an hour or two as well. Remove the tea bags and pour into a blender. Add all the rest of the ingredients and blend until incorporated. 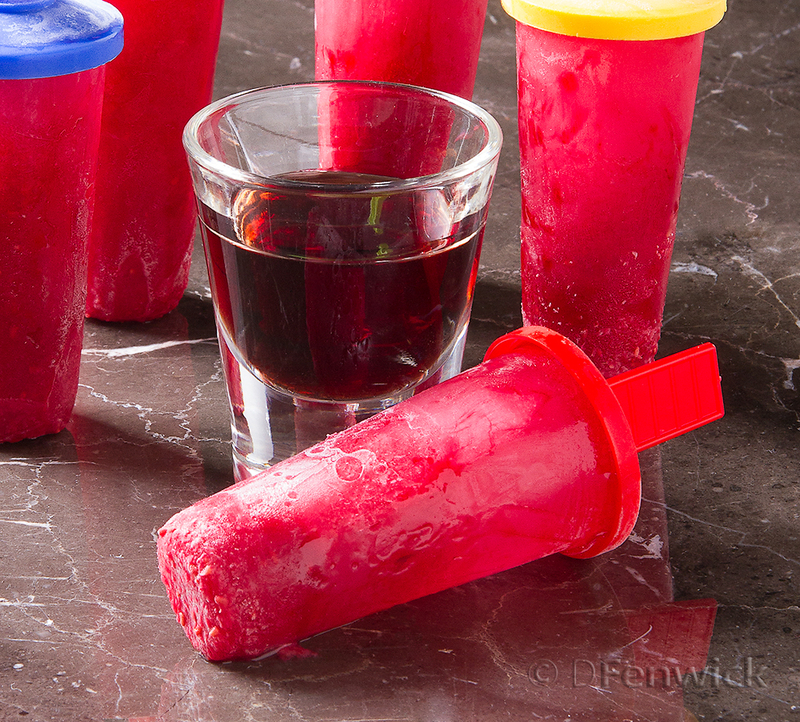 Pour the mixture into molds and freeze until pop-alicious! Not pictured, but equally yummy is a blueberry pop. Same process as above, blend, pour, freeze. Indulge! I have three little nieces that I love to get into mischief with. This summer we are taking a trip to exotic cultures (from the safety of the house) with a little belly dancing, a little cheesemaking (Paneer), and a Thai Spring Roll buffet. So this recipe was really my test to see if I could come up with a simple lunch that could cater to everyone’s likes/dislikes – and these rolls are perfect! I can slice a variety of fresh veggies, some protein options and each of them can create their culinary masterpieces. Woot! The spring roll sheets should be placed individually into a bowl of cold water for about 25 seconds then remove and shake off the excess liquid. 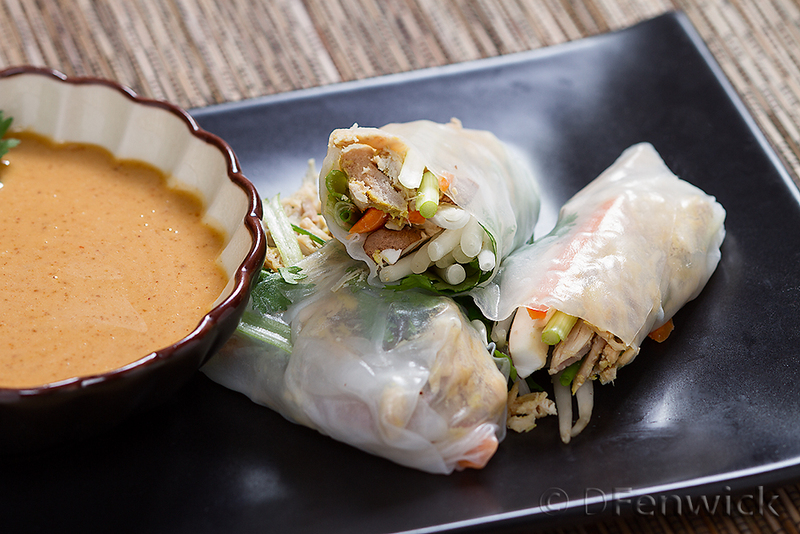 Quickly place some of each of the ingredients and roll once, fold the sides in then complete rolling the rice sheet. There you have it! They are so delicious!